The single best answer format of questions is invaluable in assessing a trainee's clinical skills and problem-solving abilities. It allows the trainee to demonstrate application of their knowledge to clinical practice. 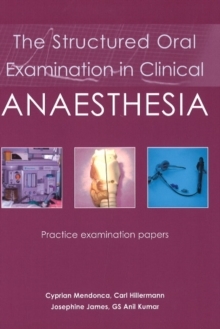 This book comprises six sets of practice papers. 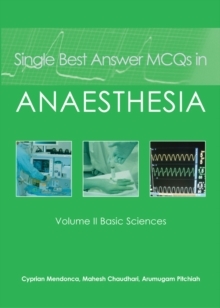 Each set contains 30 single best answer questions which cover topics including clinical anaesthesia, pain and intensive care. The questions are based on the recent changes introduced to the written part of the final FRCA examination. 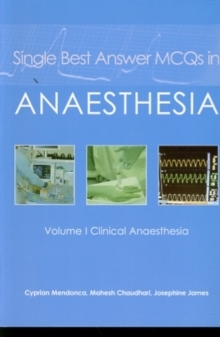 The best possible answer to a given clinical scenario is substantiated by a detailed explanation drawn from recent review articles and textbooks in clinical anaesthesia. These questions will enable candidates to assess their clinical knowledge and skills in problem-solving, data interpretation and decision making. 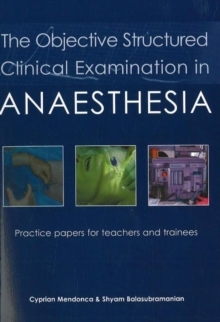 This book is essential study material for candidates sitting postgraduate examinations in anaesthesia and intensive care medicine. 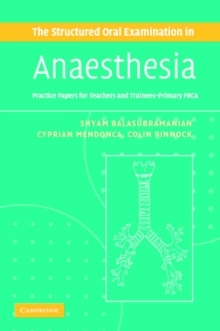 It is not only an essential guide for trainees but also an invaluable educational resource for all anaesthetists.